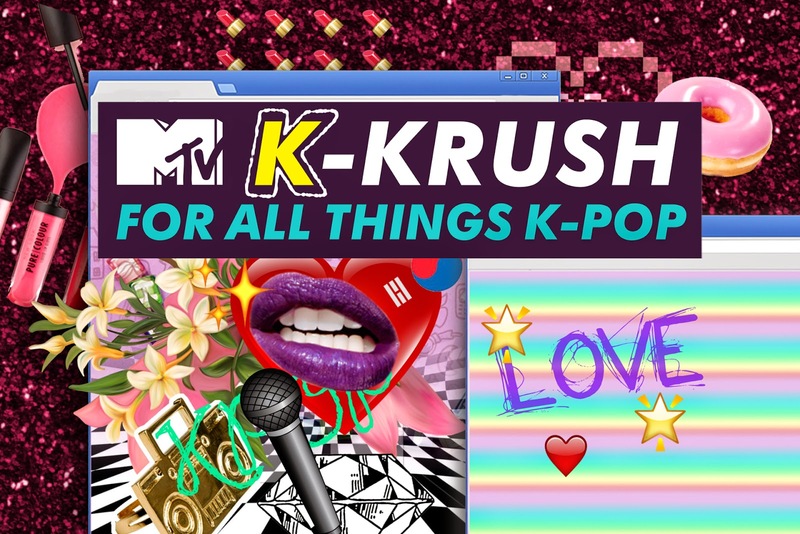 MTV Asia Extends K-Pop Content Offerings With The Launch of "MTV K Krush"
SINGAPORE, 18 MARCH 2015 – As the Korean wave continues to captivate fans around the world, audiences in Southeast Asia can expect to catch more than 200 hours of K-pop programming for the first time on MTV Asia. Over the next two years, viewers will get more access to today’s hottest K-pop artists under the “MTV K Krush” line-up which includes a slate of idol reality shows Real Guys BtoB, Hyuna's Free Month, and Plan VIXX Diary and music shows The Stage Big Pleasure and The Show: All About K-Pop to be launched on the channel this month. This new line-up of K-Pop shows are produced by SBS MTV, MTV’s South Korean joint venture network and will complement existing Korean music programmes K-Wave and K-Wave Karaoke airing on the channel. “Korean pop culture is hugely popular in Asia and fans have been telling us they can’t get enough of their favourite K-pop music bands and idols. MTV is answering their call with added music shows that allow them to watch performances by new bands, well-known artists, and rising stars from the Korean music industry while the reality shows offer a revealing look into their personal and professional lives,” said Paras Sharma, Vice President of MTV and Comedy Central Brands and Digital Media, Viacom International Media Networks Asia. • Hyuna’s Free Month is a 60-minute reality show starring South Korean singer Hyuna (from the girl group 4Minute and also part of the duo Trouble Maker). The show offers a candid look into Hyuna’s preparations and promotional activities leading to the release of her third solo album A Talk last year. • Real Guys BtoB is a 60-minute reality show featuring members of the K-pop boy band BtoB where they show off their own charms through their interpretations of machismo on what it means to be a real man. • Plan VIXX Diary is a 60-minute reality show featuring male idol group VIXX, who showcase their honest and youthful sides as they receive a themed “mission” which takes them onto a unique adventure every episode. • The Show: All About K-Pop is a popular 60-minute music variety programme hosted by Park Gyu-ri and Han Seung-yeon from girl group KARA, and later hosted by Jiyeon from T-ara and Hyeri from Girl’s Day. It showcases music performances, artist interviews, talk show segments and variety games. Guests include Girls’ Generation, Beast, EXO, Infinite, Sistar, and many more. • The Stage Big Pleasure is a 60-minute music series featuring live performances from the best vocalists and musicians in Korea. Fans can expect to catch artists such as CNBLUE, Davichi, FT Island, and Lena Park, and Gain (from the girl group Brown Eyed Girls). • K-Wave is a 30-minute music programme showcasing the latest K-pop music videos every Monday to Wednesday at 4pm (WIB), 5pm (SG) and 6pm (MY). • K-Wave Karaoke is MTV’s special music programme featuring K-pop music videos with on-screen song lyrics to allow fans to sing along with the artists. It airs every Saturday and Sunday at 12.30pm (WIB), 1.30pm (SG) and 2.30pm (MY). MTV is the world’s premier youth entertainment brand. With a global reach of more than a half-billion households, MTV is the cultural home of the millennial generation, music fans and artists, and a pioneer in creating innovative programming for young people. MTV reflects and creates pop culture with its award-winning content built around compelling storytelling, music discovery and activism across TV, online and mobile. Outside of the United States, MTV is part of Viacom International Media Networks, a division of Viacom Inc. (NYSE: VIA, VIA.B), one of the world’s leading creators of programming and content across all media platforms. For more information about MTV in Asia, visit www.mtvasia.com.